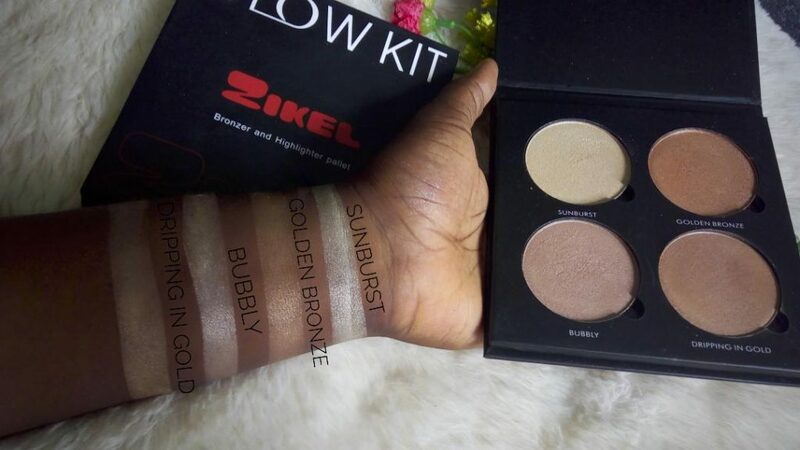 Hey beauts, after being away from home for two weeks I got home to quite a lot of PR packages from some Nigerian brands of which was Zikel Cosmetics. 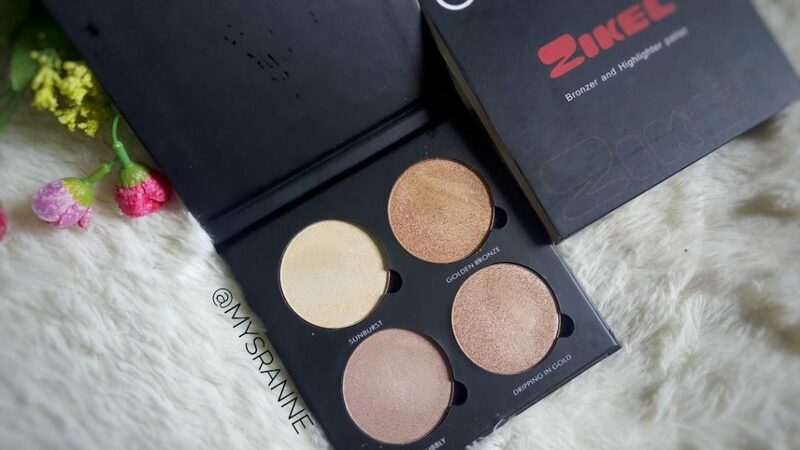 I was gifted their HD powder and foundation palette alongside their glow kit which I am in love with, you won’t believe the price it retails for! 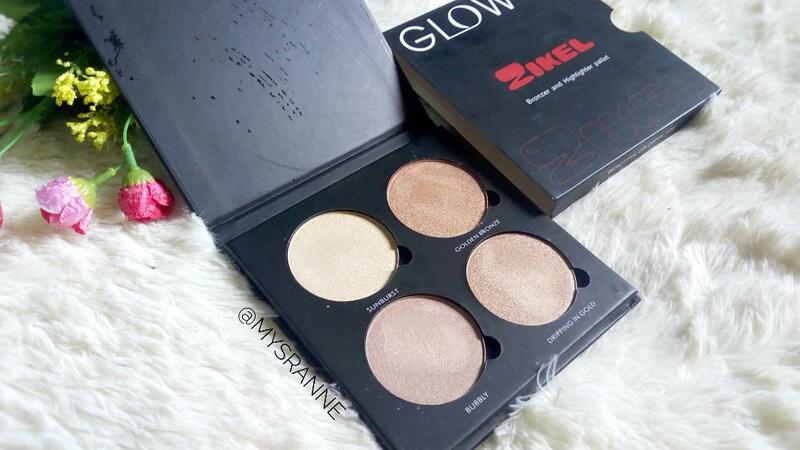 The glow kit comes in a square cardboard packaging with 4 huge pans which can be removed to be customized in a z-palette. 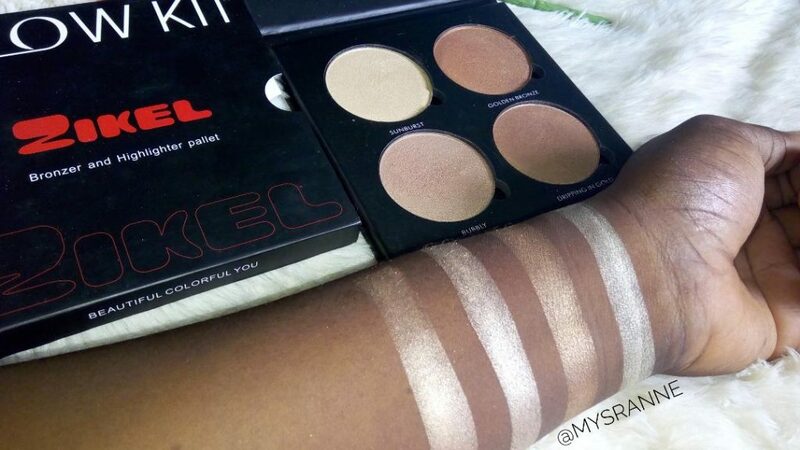 The highlighters are very pigmented, soft and finely milled. The formula is smooth, no chunky glitters or excessive fall outs and they blend so easily. 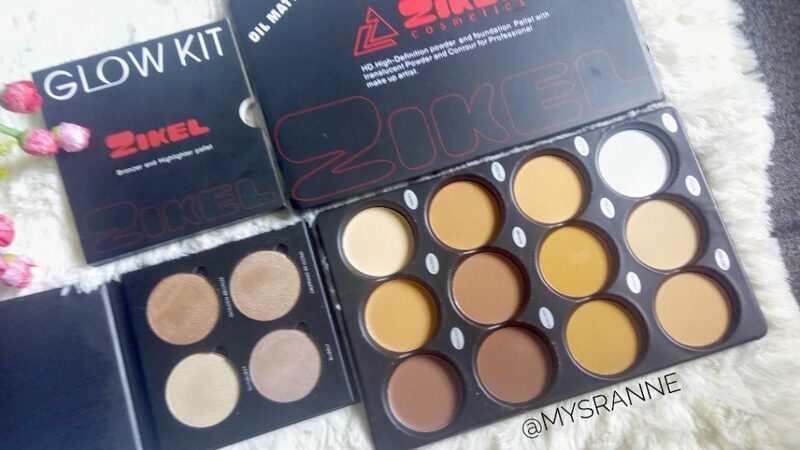 I love the palette because it has wearable shades for all skin tones, it starts of subtly but can be built up to preferred intensity. For the extra oomf I wet my brush with a setting spray and it was MAGIC! But, they really should change their packaging and product names and I’ll start taking them seriously. Brands work hard for packaging. It is an entire side of PR and marketing. 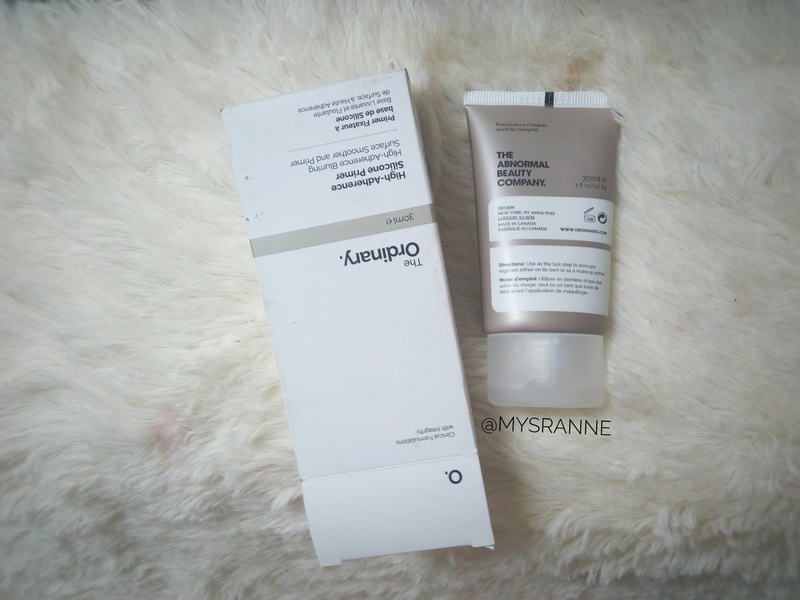 I totally understand, branding is so close to Zaron, hopefully they get better but their products turned out well, I must say. The glow kit copied Anastasia Beverly Hills in both packaging and shade names. 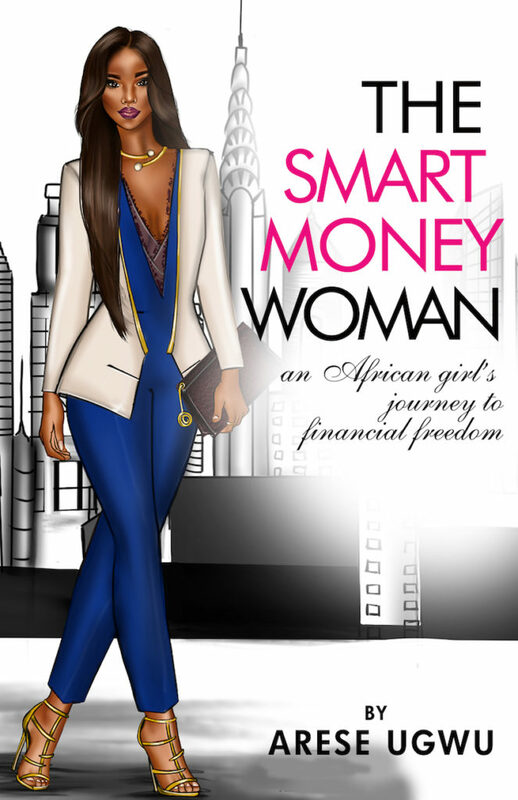 and the Branding is almost the same with Zaron. only that can chase someone away. but Ive gotten testimonies shaa. Well said Flora…. testimonies are lit tho, but thinking of it a lot of brands repeat names.